Offering you a complete choice of products which include acrabond-997 (0708) industrial adhesive sealant, acrabond-997 (0707) washing machine adhesive and acrabond-999s industrial adhesive for plastics. acrabond 9970708 is yellow coloured sealant approved leakage eliminator in washing machine manufacturing. So also it can be used in all gasketing applications involving water, oil & gasoline. Available exstock and is a reliable product for original equipment manufacturers in india & abroad. Running with an objective to meet the diversified requirements of our clients, we are occupied in offering pristine grade of Washing Machine Specific Industrial Adhesive. This range is suitable for bonding PP/ PVC / Acrylic / PE & all type of plastic & rubber components assembled concentrically or laterally. Offered adhesive is processed using best methodology keeping in mind the norms of industry. Clients can get the provided range from us at very economical prices. 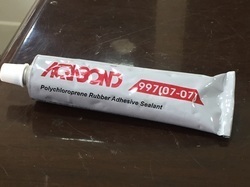 Acrabond has introduced a high strength adhesive for bonding PP/ PVC / Acrylic / PE & all type of plastic & rubber components assembled concentrically or laterally. So also the above mentioned components with substrates like Metal, Wood, Ceramics, Glass & Leather. It exhibits excellent adhesive strength & water resistance at high temperatures,good engine oil and petrol resistance on all type of surfaces. A perfect seal is prevalent in between flanges, joints or connections both in metal as well as plastic components. 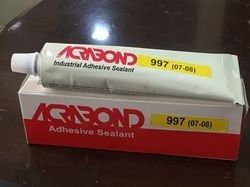 acrabond-999s is an adhesive used for fast bonding of plastic pipes, rubber pipes & all types of pp concentric contours & sections which require strong bonding. its special water resistance enables it to be used in manufacturing of washing machines. its use as an industrial pipe sealant establishes this product in use to various industries. Looking for Liquid Gasket Sealant FIP Gasket Maker Sealing Compounds ?